Start with the engine cleaner and agitate the area with a detail brush to remove grease, dust, dirt and grime. After a careful rinsing and drying, spray the easy-to-use engine bay dressing to restore the color and shine to a factory finish. 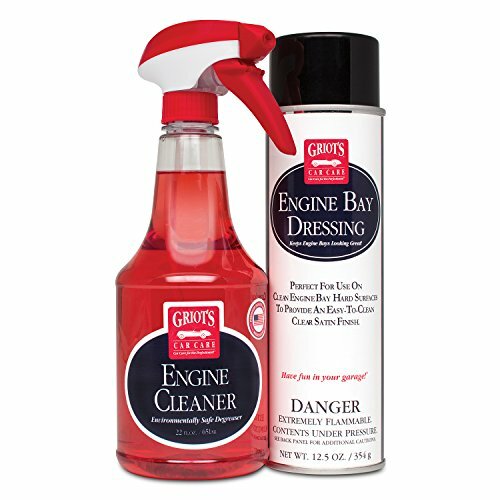 Your kit includes 35 ounce bottle of engine cleaner, finest sprayer and a 12 ounce aerosol can of engine bay dressing.